In just a few days I will be standing at the start line of the Boston Marathon. I will run for 26.2 miles and cross the finish line in Copley Square just like I’ve done for six years. Only last year, it was just moments after crossing when the two bombs exploded resulting in moments of terror for my wife Shawntel as she was sitting on the front row of the grandstands directly across from where the first bomb exploded. I felt the same terror. At that moment, I had just crossed the finish line and was the medal was being placed around my neck. Luckily, we were both safe from injury. For many others it was far worse, and for so many hours of chaos, days of searching and lasting tragedy. This year I am determined to pour more good into the Boston community than ever before. Ever since I qualified to run the 2009 Boston Marathon, I’ve been committed to do more than just run 26. 2 miles in what has become my most treasured marathon to run. Each year I raise funds and donate to the Michael Carter Lisnow Respite Center, which provides emotional and physical support to the disabled children and adults and their families. To many, the Michael Carter Respite Center is a place that offers parents time off from the emotional and physical care needed by their children and makes families feel relaxed and at home. This year is no exception and I look forward to handing over our donation before running in honor of the children of the Respite Center, the victims of the bombs last year, Boston and finishing my 6th Boston Marathon and 36th Marathon. My reflection on this upcoming race revealed several key lessons that show strength even through great tragedy. The mental, emotional and physical strength it takes to run a marathon is nothing compared the determination it takes victims to rebuild their lives. Some are faced with lifelong disabilities that require mental, physical and community support to survive. Others lost loved ones. All of Boston, and beyond, felt the pain but have become united in Boston Strong. They have not been defeated; the race is still going on, the runners will show up in greater numbers than before, the crowd showing their support will be larger and will be louder than ever. We will keep running! Simply, the goal when starting a marathon is to cross the finish line. Everyone involved in the marathon has that in mind, the fans, the volunteers and of course the runners. This year, we have other goals in mind too, to reclaim the marathon, to show our strength and to honor the victims. Long-distance running is as much a feat of the body as it is a feat of the mind. It takes training and a fierce desire to reach your goal. It is up to you to take the next stride and push yourself through the pain to the joy of success. Ultimately, it is up to each of us as individuals to choose to get up in the morning and face the challenges of the day. We cannot allow ourselves to be defeated. 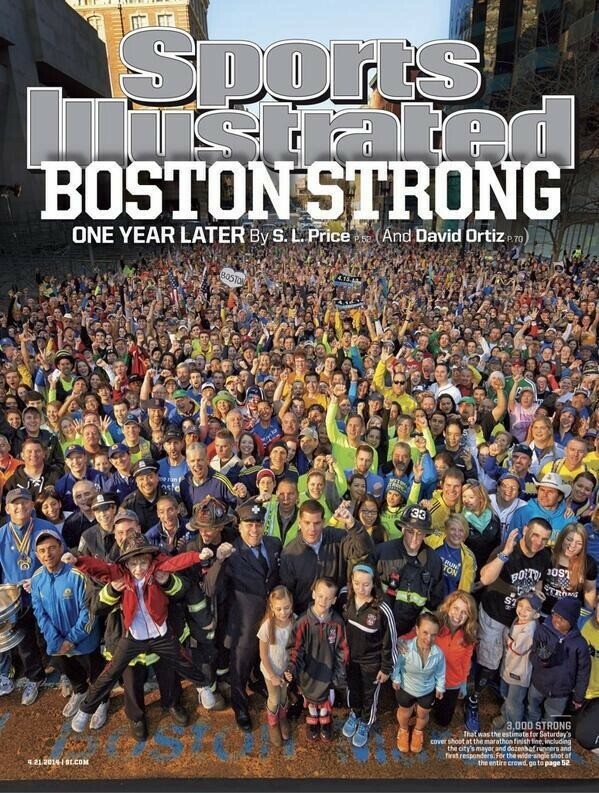 I saw Boston do this with an inspiring faith in their ability to rebuild. The bombing would have been much more tragic if the community had not risen together and put in a heroic effort to help the injured, to emotionally support each other and to bring justice. This year, I expect to feel the same community as we run in honor of the victims and witness the strength of a community unbroken by tragedy. Last year, Shawntel and I were extremely fortunate to arrive back in Seattle safe. But there is no question of how this has affected all of us. This will be in both our hearts as I stand at the start line this year and as I cross the finish line.